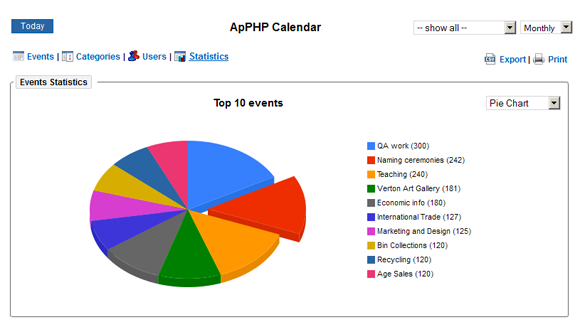 ApPHP Calendar PHP Script is a web-based calendar system using which you can easily create and schedule events. 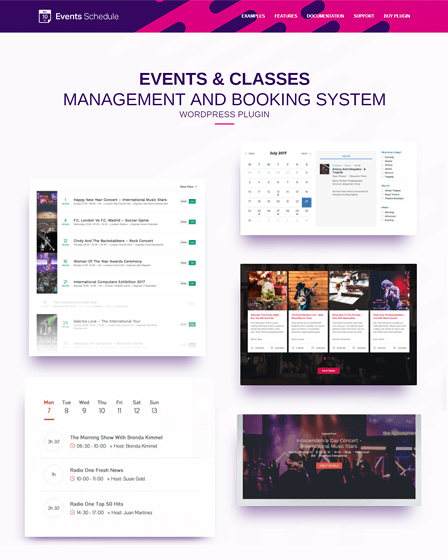 It also comes with Floating DIV feature and Ticketing System. 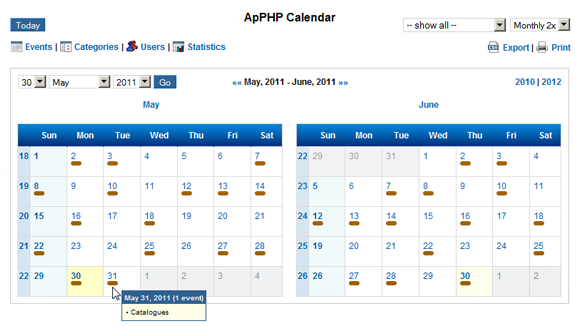 ApPHP Calendar PHP Script is a fully-customizable web calendar script. 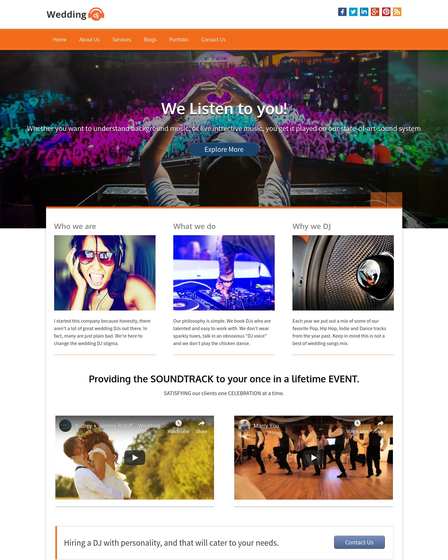 It can be used by event planners, program coordinators and more. 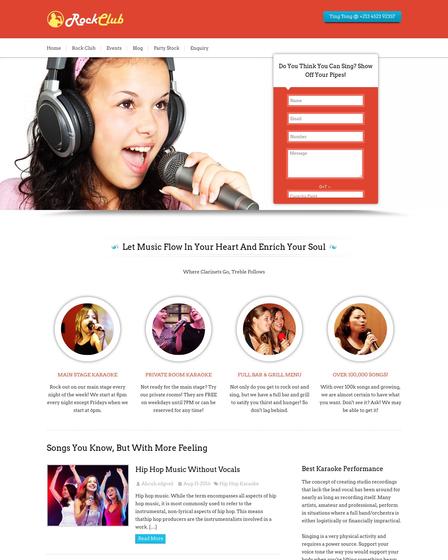 This script can be integrated with a variety of PHP projects. This PHP Script of Events Calendar Control supports the right to left language functionality in which admin can edit, enter and display the text right to left calendar format. 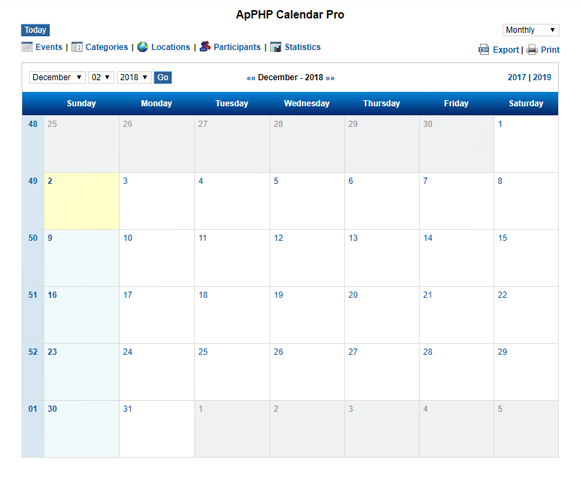 With this feature of ApPHP calendar, comes with email alerts feature which helps the user to get mail update for upcoming events to their mail accounts. 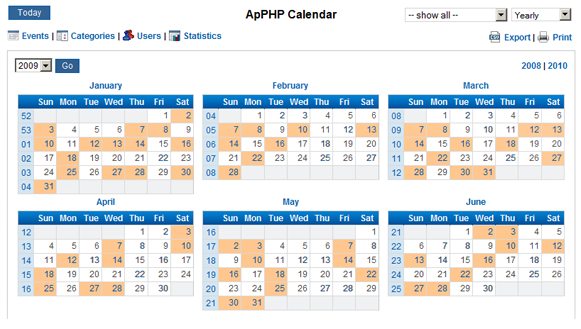 In this PHP script, admin can easily add/edit/remove any categories the calendar. 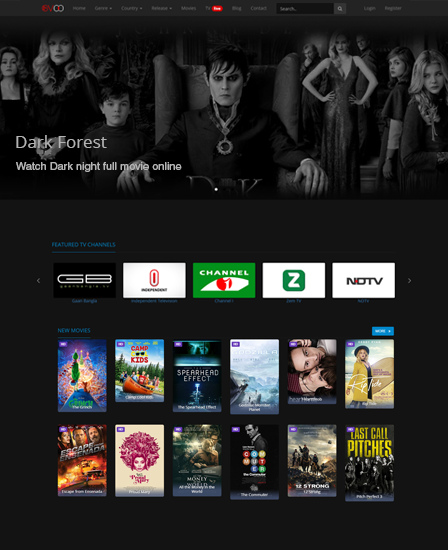 You can manage the multiple categories with the color and add time duration. This script comes with a powerful admin panel using which you can manage users, events, administrators and more. You can get real-time insights into the upcoming events and plan schedule accordingly. Statistics are available in a variety of forms- like pie chart, graphs and more. Admin can export the calendar in Comma Separated Value(CSV) to Apple calendar and google calendar. 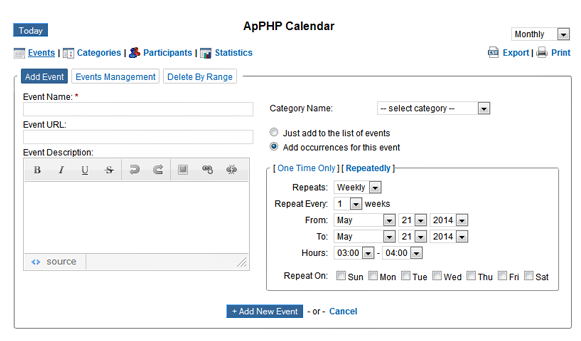 In this ApPHP calendar script, you can add events and also add the multiple participants with the location and easily edit or delete any event in the dashboard. This calendar PHP script is also integrated with floating div, so the admin can add events in hover style with floating effects on the web-based calendar. This script comes with a Floating DIV feature to control your calendar on the web. This script comes with an in-built system to generate tickets. 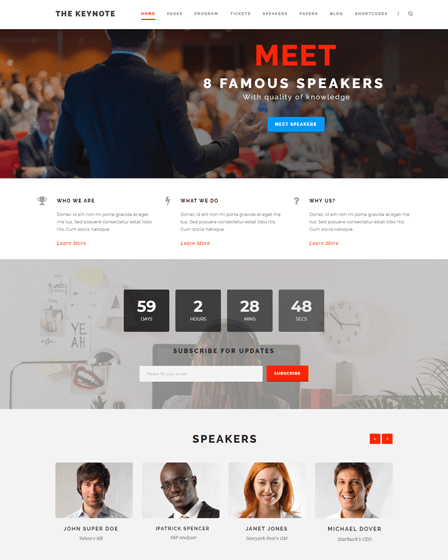 It helps your visitors to connect with the customer support system easily.